Dr. Peiman Soleymani, certified by the American Board of Periodontology, leads the team at the Beverly Hills Periodontics & Dental Implant Center. There, he’s served many happy patients as a dental implantologist and periodontist in Los Angeles. After an initial consultation or referral from a dentist, Dr. Soleymani can work with you on a path to aesthetically pleasing, permanent dental implants in Los Angeles. 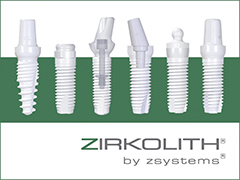 Many flock to Dr. Soleymani for dental implants in Santa Monica due to his state-of-the-art methods and technology. He uses digital radiographs and 3D-CT scanning imagery to learn fully about a patient’s mouth before inserting dental implants in Santa Monica. Then, Dr. Soleymani’s advanced implantation technique can often be used for immediate dental implants, allowing a full mouth transformation in as little as one sitting. Finally, these processes and other types of gum disease treatment can be aided by cutting-edge laser therapy, frequently the preferred method of periodontal surgical treatment. Furthermore, the diversity of services available at the Beverly Hills Periodontics & Dental Implant Center truly runs the full gamut. Including bone grafting, osseous surgery, and gum grafting in Santa Monica, Dr. Soleymani can restore your teeth, gums, and dental osseous to a healthier and more beautiful standard. As a periodontist in Santa Monica, Dr. Soleymani can frankly and compassionately discuss your options for gum disease treatment. For periodontal treatment or dental implants in Santa Monica or elsewhere in the Los Angeles area, please visit Dr. Soleymani’s contact page or call his office at 310-275-4606.